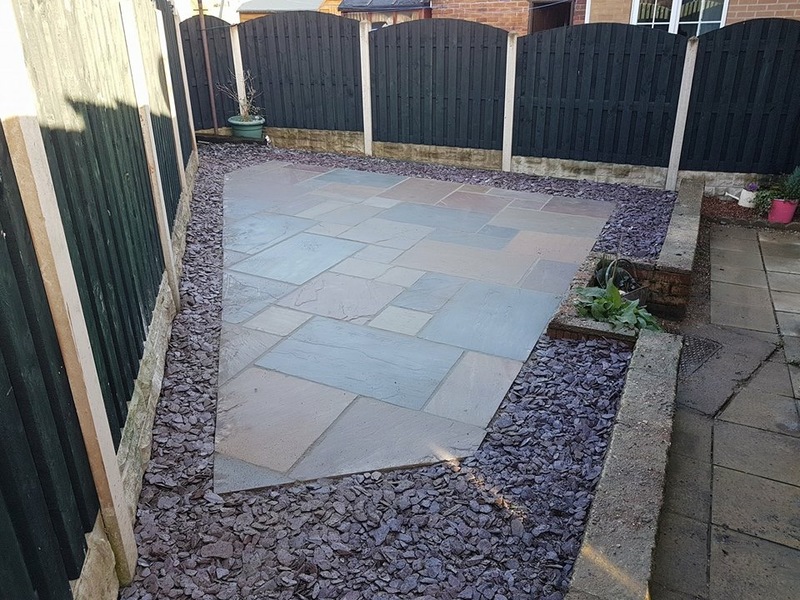 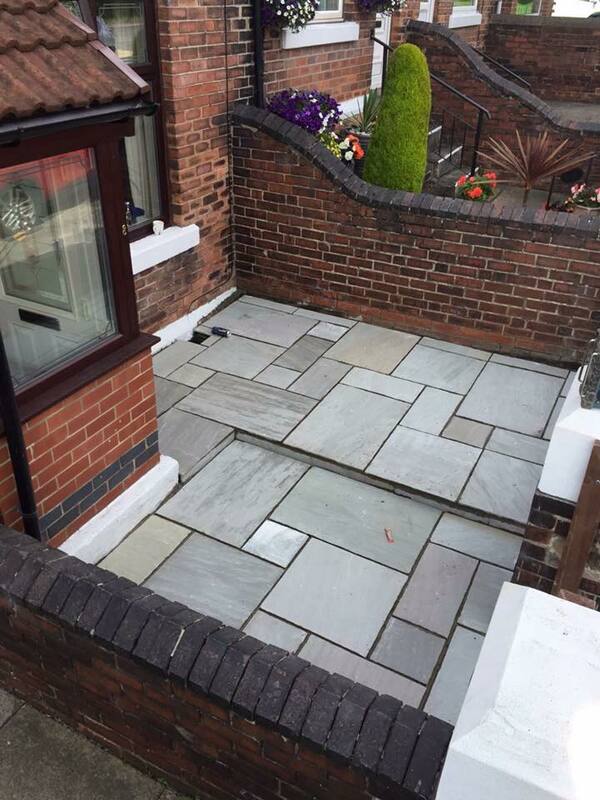 We offer an extensive range of patios, paving slabs and Indian stone. 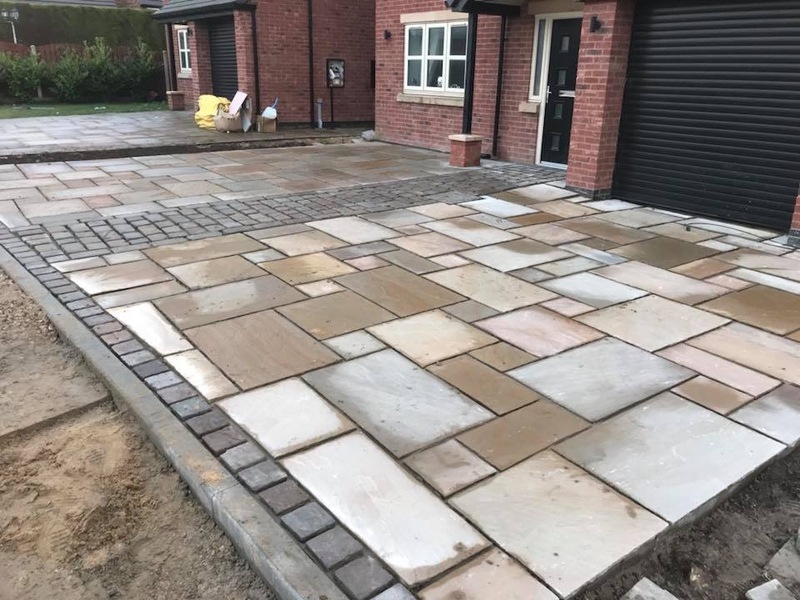 Most of our products are expertly manufactured on site with something to suit most pockets and tastes. 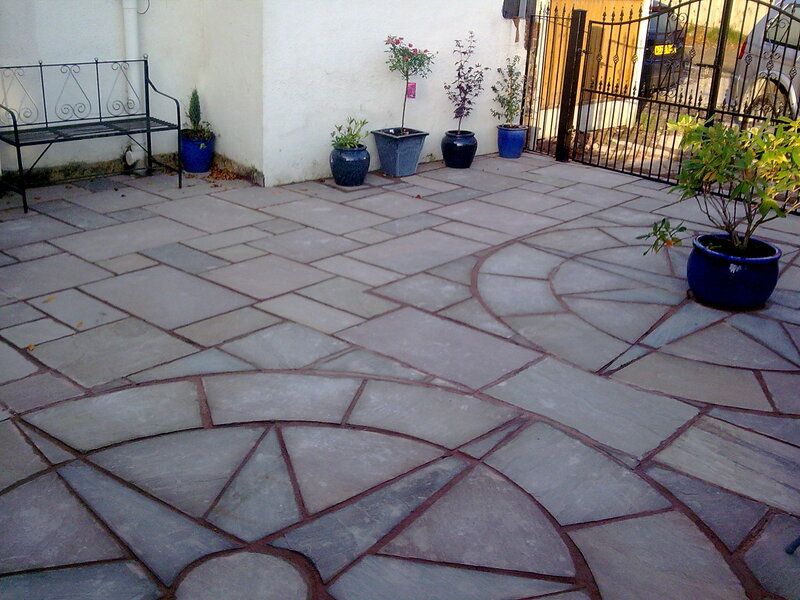 We offer a free design, delivery and installation service. 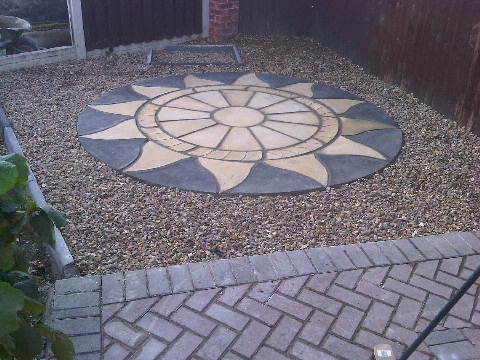 The picture above is incorporating our Aztec Sun Circle. 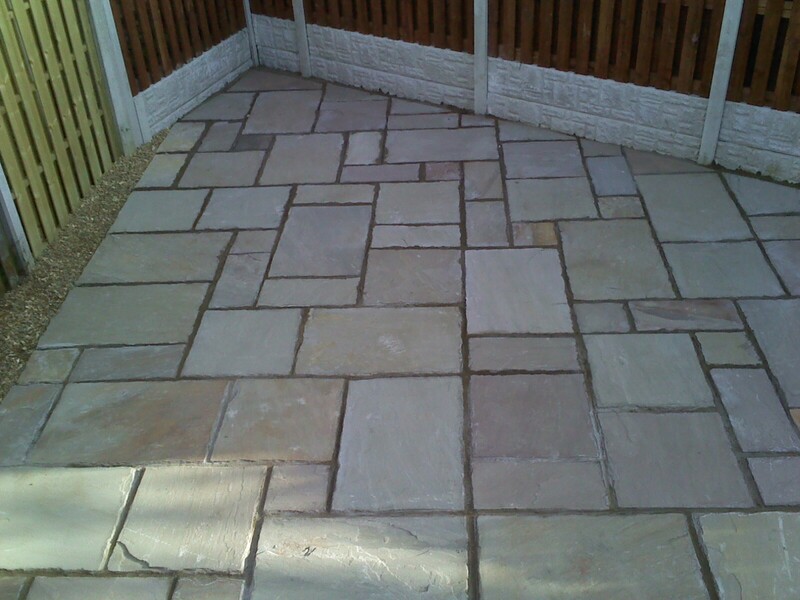 Indian paving is a natural sandstone which comes in a range of soft and subtle colours. 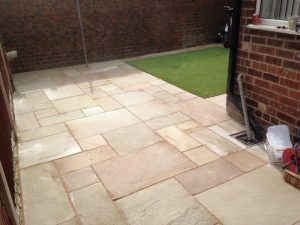 Indian stone has become largely popular within the UK due to its low maintenance and durability. 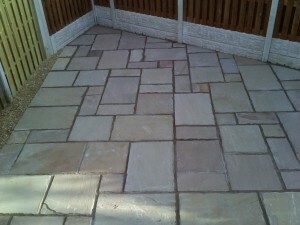 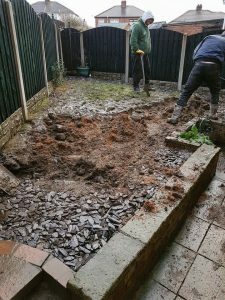 We also will do all ground work that is needed for your paving to be laid. 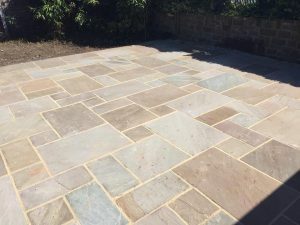 When laying the Indian stone the jointing will be finished off with a durable resin. 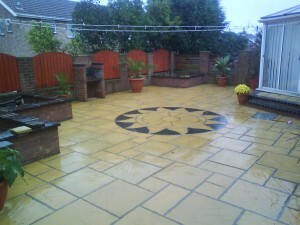 We offer an extensive range of patios and paving slabs. Most of our products are expertly manufactured on site with something to suit most pockets and tastes. 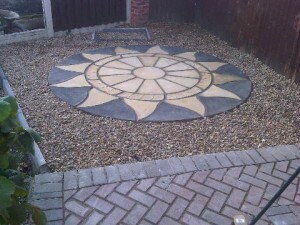 We offer a free design, delivery and installation service. 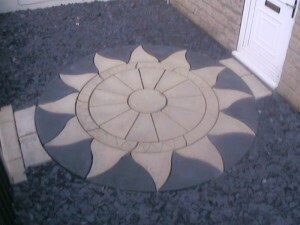 Pictured here is the Aztec sun surrounded with plum slate.